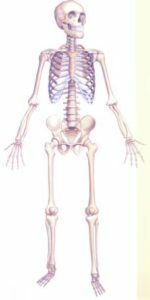 The Department of Human Anatomy is concerned with the teaching of structures of Human body providing knowledge of structure, arrangement and relation of muscles, nerves, arteries, Lymphatic and viscera. The department has more than 50 microscopes and 500 glass slides. Deptt. has big dissection hall for 100 students and has sufficient Cadavers. Embalming room is also attached with the dissection room for embalming the cadavers. It has a big museum including more than 50 mounted specimens & more than 50 models and charts. Deptt. has 3 articulated skeletons and 5 disarticulated skeletons, loose bones, charts and diagrams & dissected parts of the body.